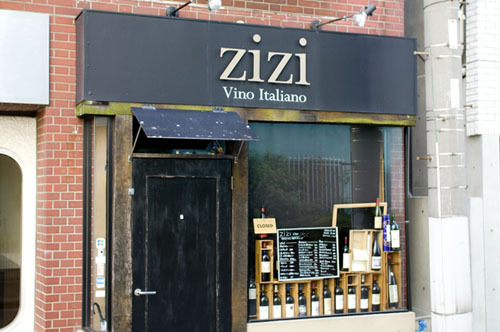 A small Italian wine bar with pastas and other casual fare. There are usually around five or six wines by the glass along with a bottle selection starting at around Y4500. They also serve grappa. 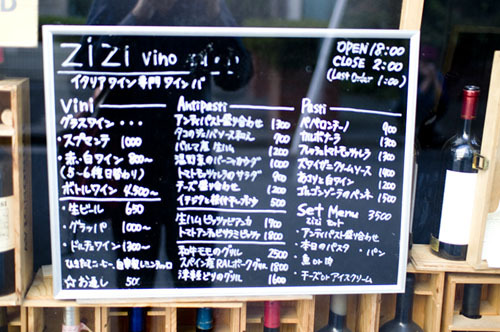 A Zizi prix-fixe dinner menu is Y3500.